in 1957. Since then a new section with modern hotel rooms was added to the back of the Roadhouse. On the grounds near the bridge over the hot springs slough is a campground. The Roadhouse has a large bar and restaurant. 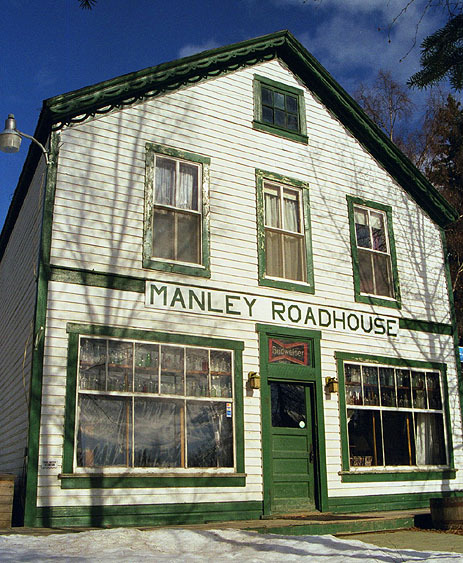 Please tell me Manley Hot Springs and Cuck and Gladys Greenhouse and detaile.